Last night we had lots of wind and rain. We knew that it would most likely change into snow overnight, but we didn't know how much snow was supposed to fall for sure. This morning when I woke up spring had seemed to disappear and winter was in full force yet again. The wet grass had turned to a large blanket of white fluffy snow. Campus was covered in it, every tree was white, signs were white, and buildings were covered as well. Here is one of the first pictures I got going out in the morning. From there I decided to go on a walk around campus and see what else I could find in this world of white snow. 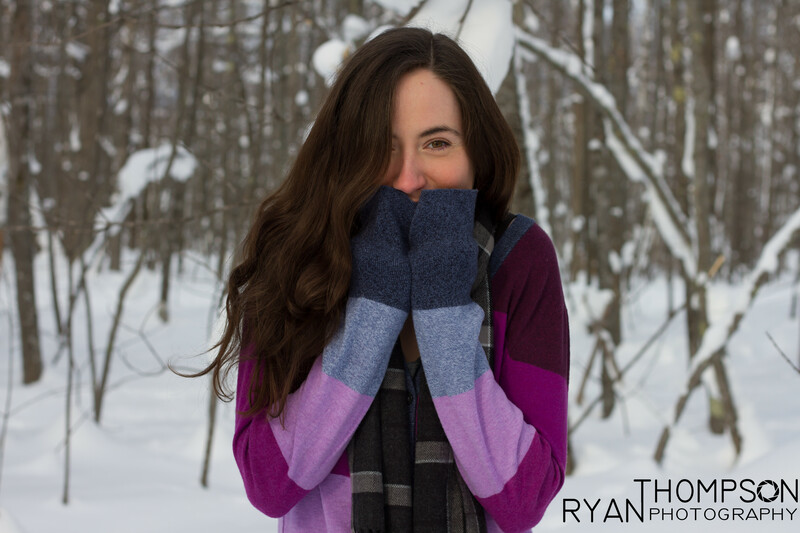 As I explored I was able to find some bright colors that were slightly hidden by the snow. The evergreen trees still had needles poking out from under the cover of snow. 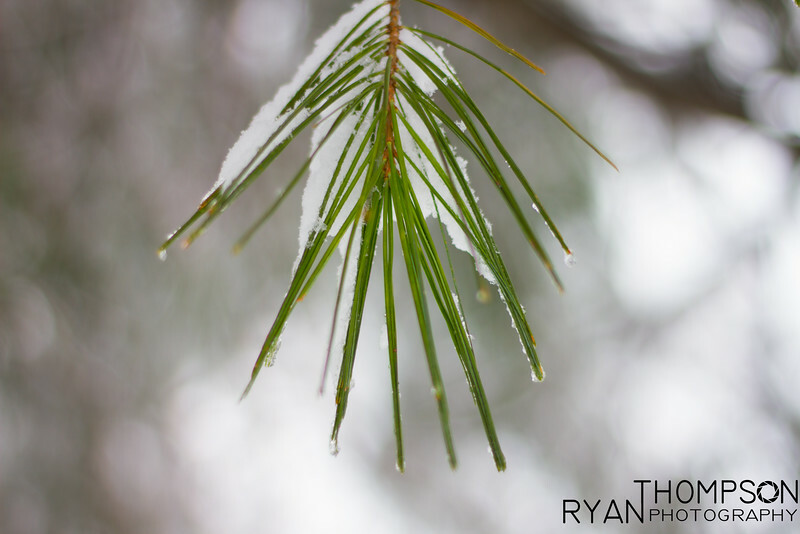 The image below shows the green of the needles against the white snow. In addition to the evergreens there were some red berries that were still on the tries from the fall that had survived the winter. 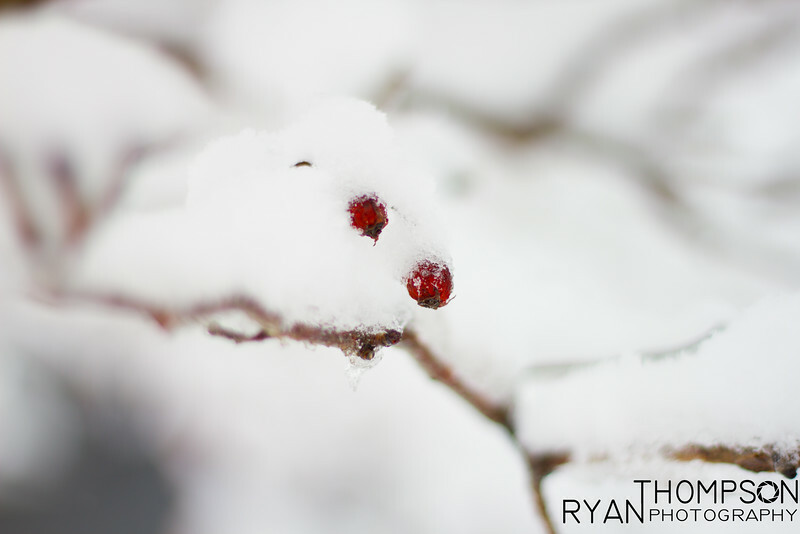 Just like the tree needles the berries were covered in snow and ice, but were still showing their red color. This image is one of my favorites of the berries. 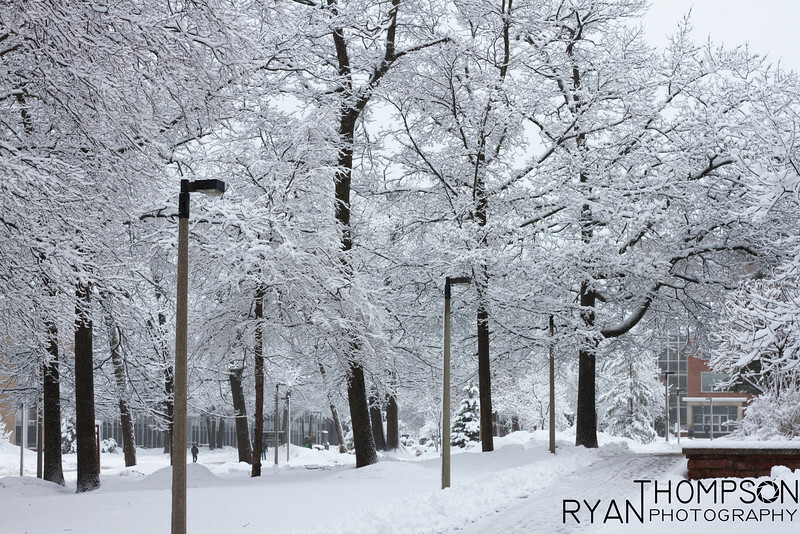 If you would like to see the rest of the album head over to: http://www.ryanthompsonphotography.com/UP-Photography/Winter-2015-2016/Campus-Whiteout/ to browse all the images from the snow. I decided that it was time to do another shoot with some flowers. I headed to the store to try and find some unique looking flowers that would be fun to photograph. 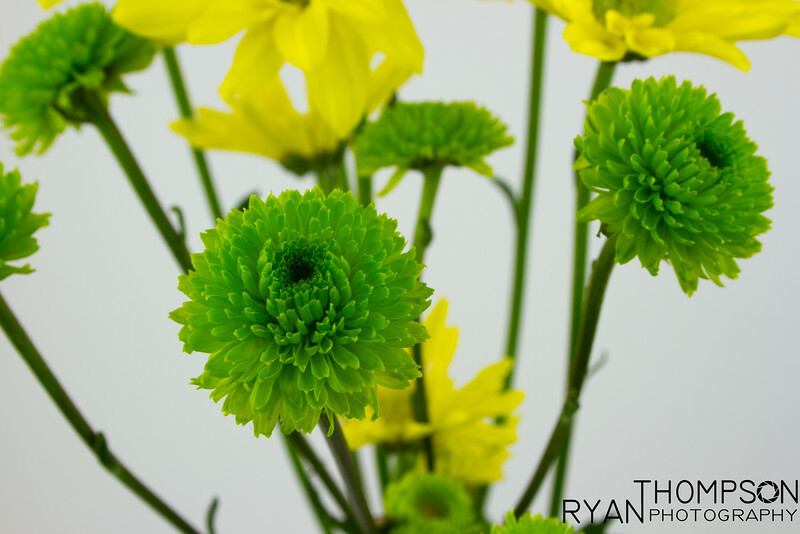 After finding some that I thought would be good subjects, it was time to head back and set up a small studio space to photograph the flowers. Working in small spaces can be a challenge some times, but I think the final results from this shoot turned out nice, even with the small work area. 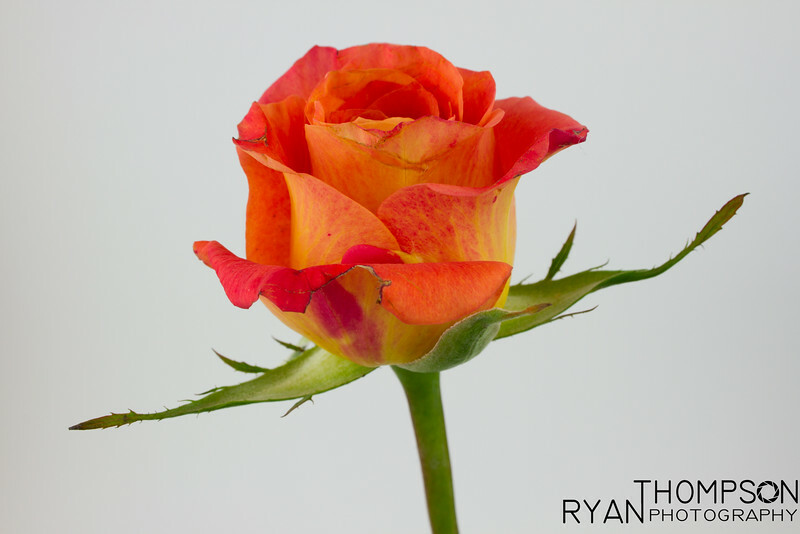 The flower that I thought was the most interesting was a red, yellow, and orange rose. 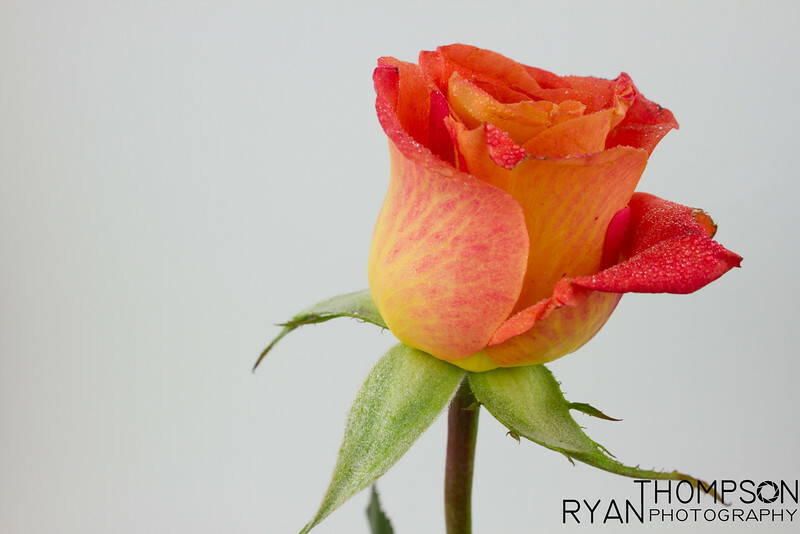 The veins on the outer petals really stood out to me and made for an interesting look. One technique used while shooting flower is to spray them with a little water to make the shot more interesting. In the images below you will be able to see an example of the flower with and without the added water. In addition to roses there was a variety of other flowers including daisies and Dahlias. 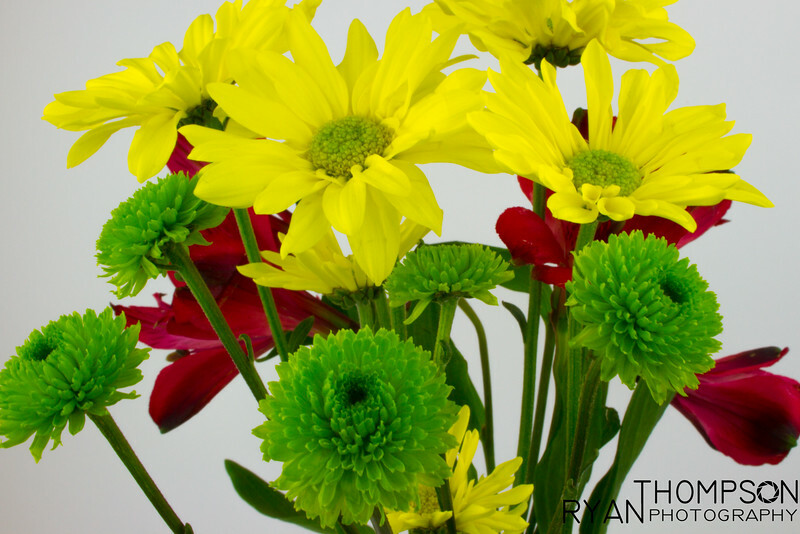 One of the fun things to try with flowers is layering the different colors and styles to create an overall image. By interchanging different varieties the images can have very different feels. 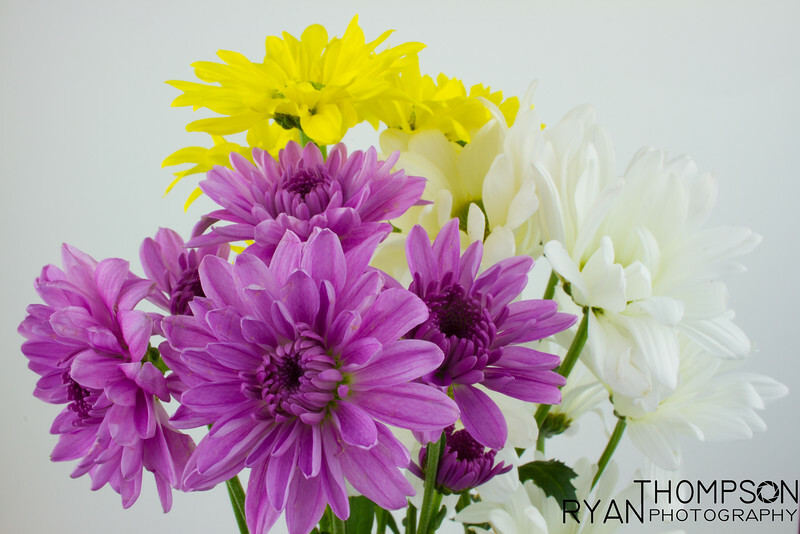 Here are some examples of different combinations of flowers and colors. 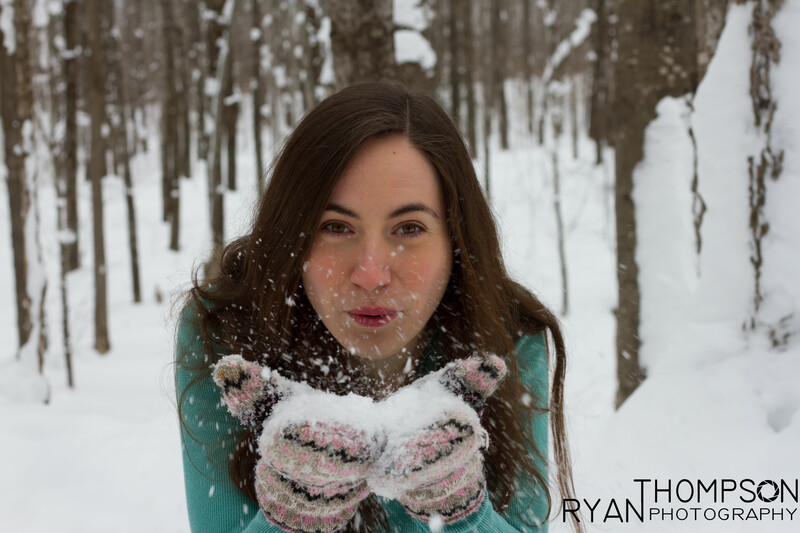 I had the pleasure of working with Eileen this weekend on a snowy winter photo shoot. At first she was worried that the photos wouldn't turn out good or would look awkward, but I assured her that wouldn't happen. After all it was my job to make sure they photos turned out looking great. We were luck to have such a nice day to be out shooting. The past week had been cold and snowy, but we got a mild temperature day and partly cloudy which made for great lighting and a good time. 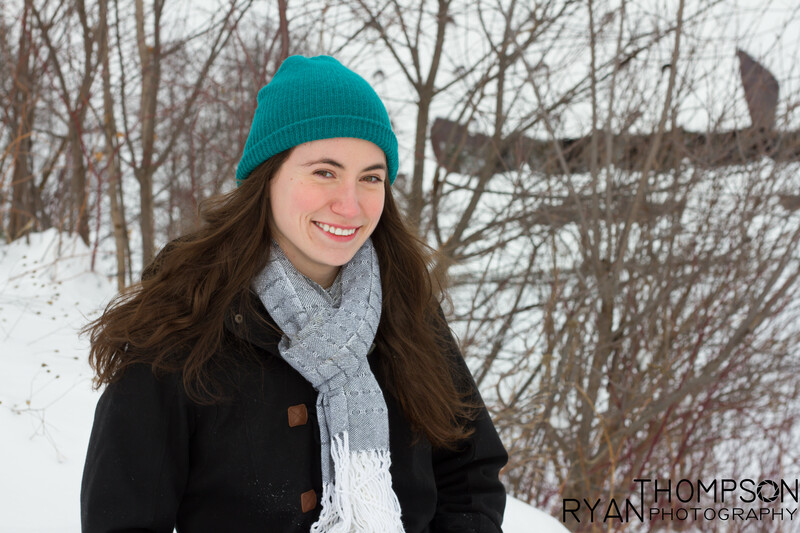 We started out the day at one of the local cross country ski trails to see what kind of scenes we could create for the first set of photos. After walking around the area, we decided to trek into the woods and look for a clearing to try some photos. To start things off I wanted to try some fun posed to get Eileen relaxed and comfortable in front of the camera. Here is one of the earlier photos taken, her bright colors pop against the white snow and brown trees and make for a nice composition. On our way to the next location we decided to stop on the side of the road where there were some pine trees as part of a field. She did a quick change to try out another outfit with the green of the trees. As we were shooting in the trees, the wind started to pick up in the field and knock snow off the top of the trees. In an instant it had started "snowing" so we quick took a couple of shots with the falling snow. 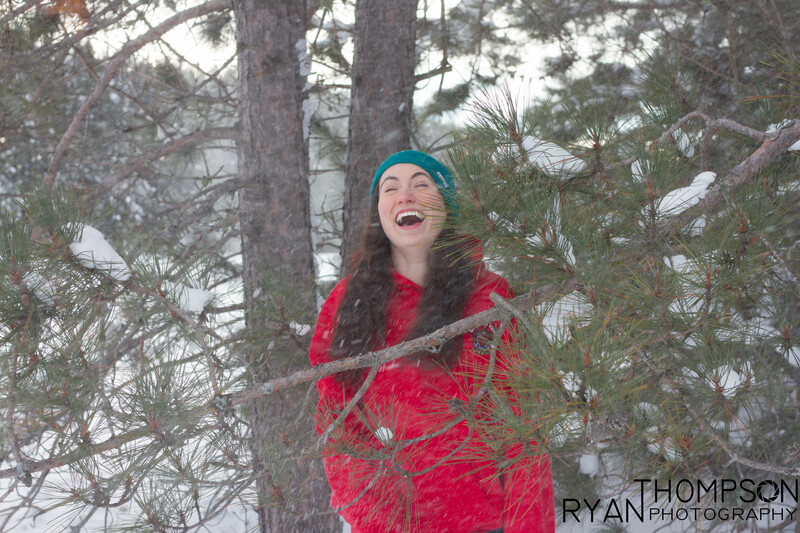 This one shows the joy on Eileen's face as the snow was falling. After we were done playing in the trees, it was onto the next location to play in the snow a little more. One of the places I love to shoot up near Houghton is Covered Rd. It makes for interesting tree lines along the road and a nice woody area to shoot. We decided to try some shots of playing with the snow and this was one of the resulting images. We continued on with our day of shooting moving to a location with water. The nice thing about this location was the moving water, so the ice didn't freeze all the way over and made for an interesting backdrop. The temperature was starting to get a little cold after being outside for so long, so I decided to try the next shots with her coat and scarf on. These turned out to be some of my favorite shots from the day. The open water and outfit made for some really nice combinations. This next photos is probably one of my favorites from the entire day. After a long day of shooting we were both tired, but had a good time. I was thrilled when I got back and loaded the images onto my computer. So many of the shots had turned out great. I will leave you with this one last photo that shows how we felt at the end of the day, ready for a nap. Due to the unusual warm winter we have been having here in the U.P. of Michigan, I had the opportunity to check out Breakers on Lake Superior in January without it being completely covered in ice. A friend of mine and I decided to take a trip out to the lake to see what we could find. After parking and hiking out to the shoreline we decided to walk along the beach for a while and see what different images we could create. One of the cool things to photograph at this location is the lighthouse that is part of the break wall that leads into the Portage. 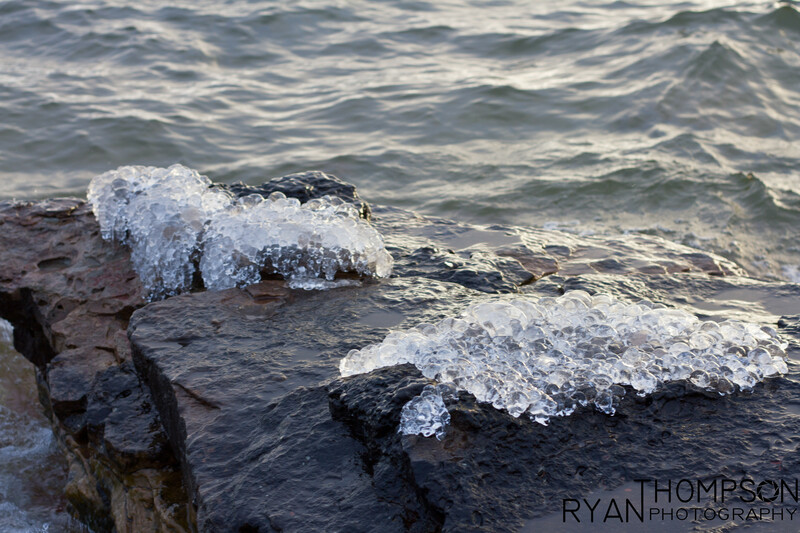 With the minimal ice build up along the shoreline for this time of year and the lake being quite choppy the day we were out there, I was able to capture some nice photos of waves crashing up along the shoreline. 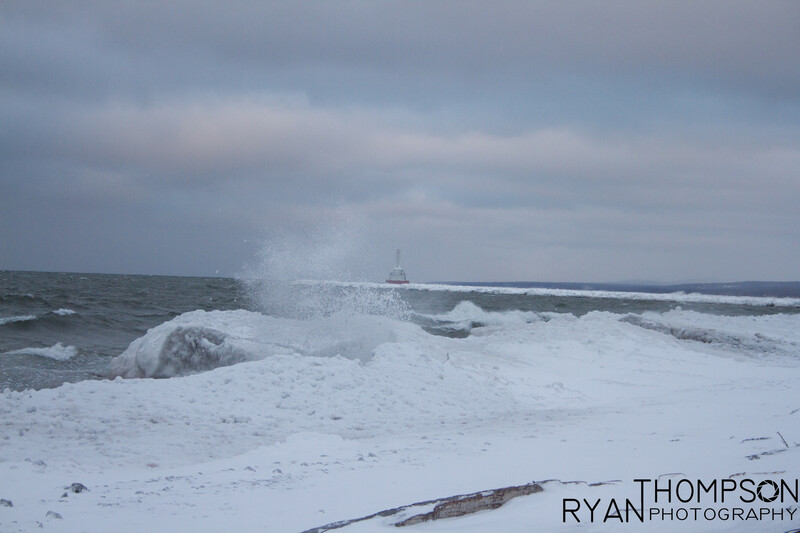 One of the better photos had the lighthouse in the background with a large wave crashing into the ice. 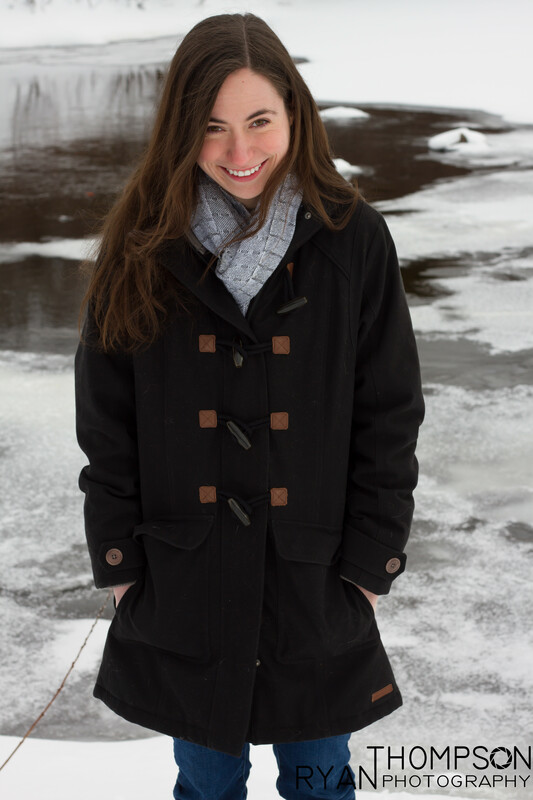 While we were out along the shore, we happened to run into another photographer who had a similar idea as I did. He had taken his snowmobile out to the shore and was capturing some different images. 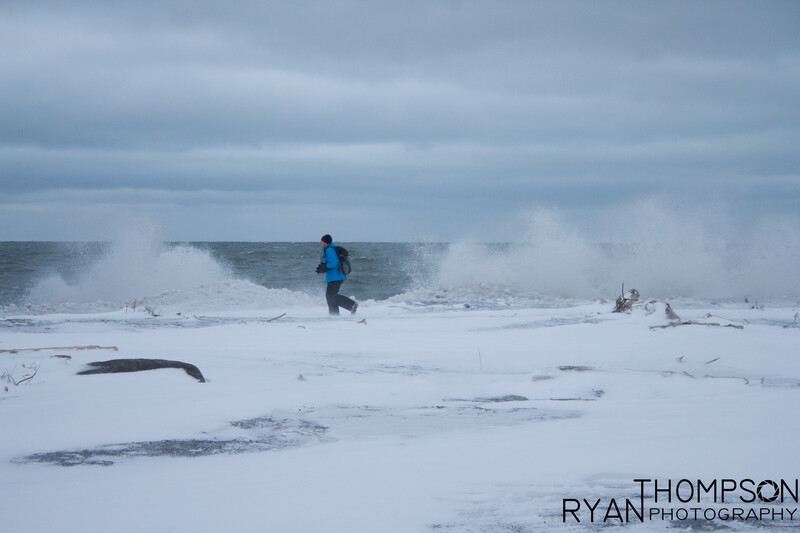 I was able to get this image of him walking along the shore when a large wave came in. The splashing framed him nicely and turned out pretty cool. It has been a while since I have had time to go out and enjoy the beauty of the Keweenaw and Lake Superior. With the new year came a new chance to take in the awesomeness that the Upper Peninsula has to offer. I returned to Houghton after spending the holidays with my family in Wisconsin and had the itch to go out and find some nice scenery. That is when I decided to go for a drive and see what I could find. My trip took me towards Gay, MI and the shoreline of the Keweenaw Peninsula. I made my way towards Lac La Belle and ended up at a park along the shoreline with a beach and areas to walk along Lake Superior. With the unusually warm winter we have had so far in the Upper Peninsula, Lake Superior has not started to freeze yet and the shoreline still had open water with minimal ice build up. The ice that had started to form made for spectacular structures and interesting arrangements. 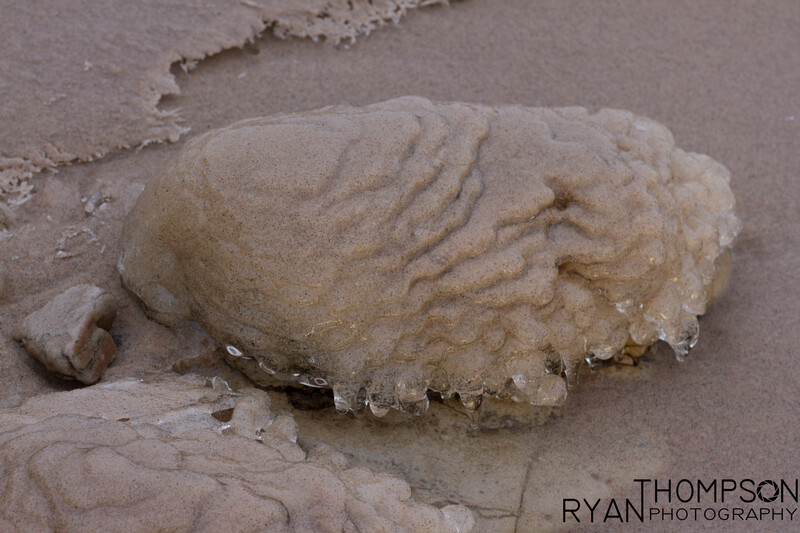 As the water crashed on the shore and picked up sand some interesting formations were created like the image below. In addition to the sand and ice formations, on the rock surfaces there were bubble like ice formations. These were really interesting to look at. I am still unsure of how they formed. Check out the following image to see what I mean.